Antimony sulfide/reduced graphene oxide (Sb2S3-rGO) composite was successfully deposited on titanium dioxide (TiO2) nanorod array via a novel one-step chemical bath deposition method. The heterostructures were characterized by structural, optical, and electrochemical measurements. The self-assembled combination of Sb2S3 and reduced graphene oxide (rGO) nanostructure in the nanoarchitecture indicated a promising synergistic effect for solar cells with a remarkable enhanced electrochemical performance. 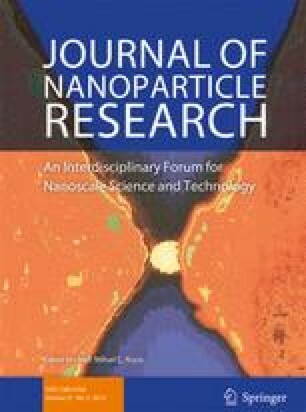 The average crystallite size of 27 and 30 nm was calculated for Sb2S3-rGO and Sb2S3, respectively, from XRD measurement, and the diameter of nanoparticles grown on rGO nanosheet was estimated about 50 nm from FESEM images. Moreover, the result of electrochemical impedance spectroscopy (EIS) indicated that the TiO2/Sb2S3-rGO bilayer interfacial resistance was approximately five times lower than that of TiO2/Sb2S3. Additionally, TiO2/Sb2S3-rGO exhibited a rapid and stable photocurrent density that was seven times greater compared to that of TiO2/Sb2S3. These enhancements were mainly ascribed to the presence of the conductive rGO sheets that acting as an electron reservoir through retarding electron-hole recombination. These achievements strongly suggested the Sb2S3-rGO composite as a promising material for use as an absorber layer in solid state Sb2S3-sensitized solar cells. • The deposition of Sb2S3-rGO composite via CBD for use in a solar cell is reported for the first time. • Sb2S3-rGO was synthesized via an in situ assembly process based on CBD. • An excellent reduction in charge transfer resistance of Sb2S3-rGO layer was confirmed by EIS measurement. • A 7-fold enhancement in transient photocurrent response of Sb2S3-rGO layer was observed.